The Institute of the Incarnate Word – IVE is a catholic religious institute founded by Fr. Carlos Buela in 1984, Argentina. 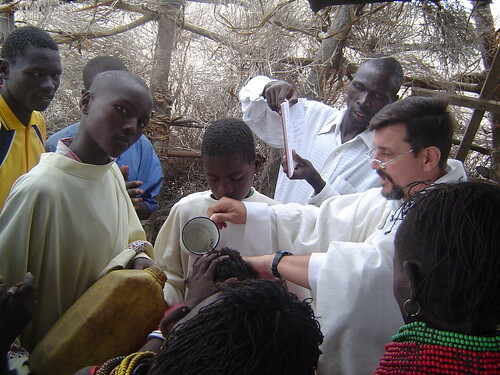 The IVE missions have spread out to 88 dioceses in 38 countries, across the 5 continents. 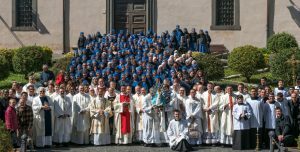 It has a total of 804 members (including priests, monks, brothers and seminarians). The Institute of the Incarnate Word – IVE along with the Institute Servants of the Lord and the Virgin of Matará - SSVM and our Third Order make up the Religious Family of the Incarnate Word (also known as IVE). THE IVE CHARISM: Is the grace to know how to work concretely in order to prolong Christ in families, in education, in the mass media, in the intellectuals, and in all other legitimate manifestations of human life. THE IVE SPIRITUALITY: must be deeply marked by the four aspects of the mystery of the Incarnation: its origin, its natures, the union of the natures, and its purpose. OUR DEVOTION TO MARY: To achieve this disposition of maximum, total and unrestricted docility to the Holy Spirit, who is the Spirit of Christ (cf. Rom 8: 9) we need the Holy Virgin Mary to be the model, the guide and the form for all our actions. THE IVE DEVOTION TO MARY: We manifest our love and gratitude to the Blessed Virgin by making a fourth vow – slavery to Mary according to Saint Louis-Marie Grignion de Montfort – so as to obtain her indispensable help to extend the Incarnation in all things. THE IVE FOUNDER: Fr. Carlos Miguel Buela, who founded the Institute of the Incarnate Word - IVE, was born in the city of Buenos Aires on April 4, 1941. He was ordained on October 7, 1971. Since every man is in a certain sense “the way for the Church” (cf. Redemptor hominis, 14) and “only in the mystery of the incarnate Word does the mystery of man take on light” (Gaudium et Spes, 22), we want to work for man’s integral good revealing to him his nature, his dignity, his vocation, his inalienable rights, his freedom, and his eternal destiny, thereby achieving the goal of faith—the salvation of souls. Everything that leads to forming Christ in men will be the object of our utmost care and apostolic action. In a special way we want to dedicate ourselves to the preaching of the Word of God, which is “more piercing than any two edged sword” (Heb 4:12), in all its forms: in the study and teaching of Sacred Scripture, the theology of the Holy Fathers, the Liturgy, catechesis, ecumenism, inter-religious dialogue, etc. 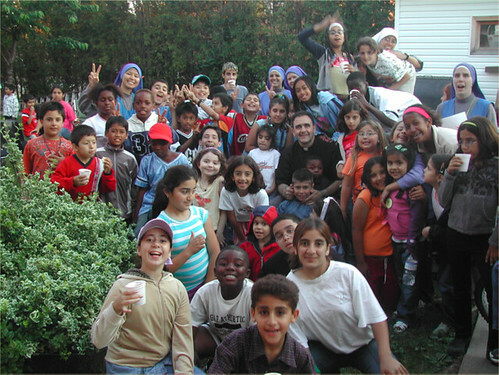 We dedicate ourselves to the preaching of popular missions, the spiritual exercises, to the Christian education and formation of children and youth according to the model of Oratories , and to works of charity towards the most needy (abandoned children, the handicapped, the sick, the elderly) through the foundation and the work in “Hogarcitos” (houses of mercy). We also want to prolong the Word by means of the oral and written word: in the search for and the formation of suitable ministers of the Word, in the publication of magazines, essays, books, presence in the internet, etc. and in other areas. 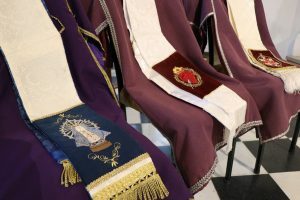 In order to permeate cultures with the Gospel, we take the following teachings as fundamental elements: the Second Vatican Council’s Pastoral Constitution “Gaudium et Spes”, the apostolic exhortations “Evangelii Nuntiandi” and “Catechesi Tradendae”; the discourses of Pope John Paul II, the Puebla Document, the encyclical “Salvorum Apostoli”, the encyclical “Redemptoris Missio”, the post-synodal apostolic exhortation “Pastores Dabo Vobis”, and all of the directives, guidance and teachings of the Church’s ordinary Magisterium that may arise in the future regarding the specific end of our small religious family. We want to present the apostolates being carried on by the missionaries of the religious family of the Incarnate Word throughout the world in different places of Mission. From the 5 continents, the Missionaries of the Institute of the Incarnate Word narrate their adventures.